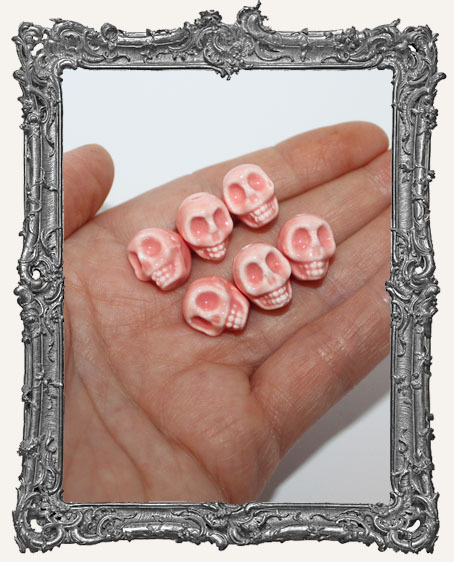 * Set of 6 awesome glazed ceramic skull beads. The holes run vertical, from top to bottom. * Each ceramic bead measures approximately 1/2" tall (12mm x 10mm). * Use them as beads or glue them in a mini assemblage or shrine. They are great with our Shrine Kits! Perfect for your Dia De Los Muertos or Halloween art too! 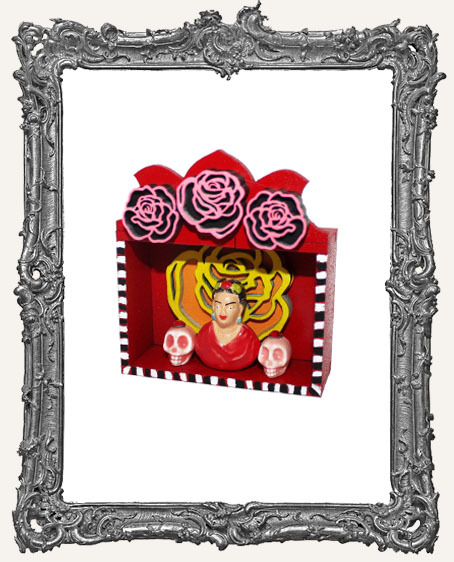 * See our full line of Mini DOTD Shrine Kits HERE.